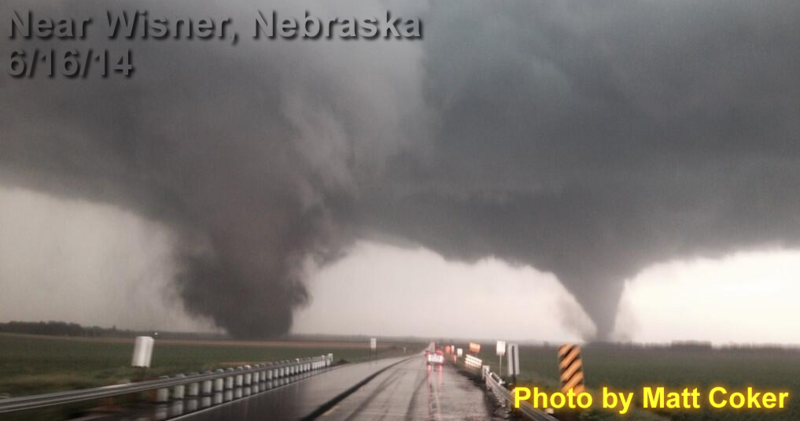 Most people won’t see one tornado in their lifetime much less two. But cameras were all over a Nebraska supercell thunderstorm on Monday evening as it produced two tornadoes at the same time! There are many ways a thunderstorm can produce multiple tornadoes. One way is for one tornado to die away and back up into the colder part of the storm while a new tornado takes shape, usually to the east or southeast of the old tornado. Thunderstorms which produce multiple tornadoes like this are called cyclic tornadic supercells. In the Ozarks, the Stockton tornado of May 4, 2003 was actually the second of a total of three tornadoes produced by one supercell thunderstorm. 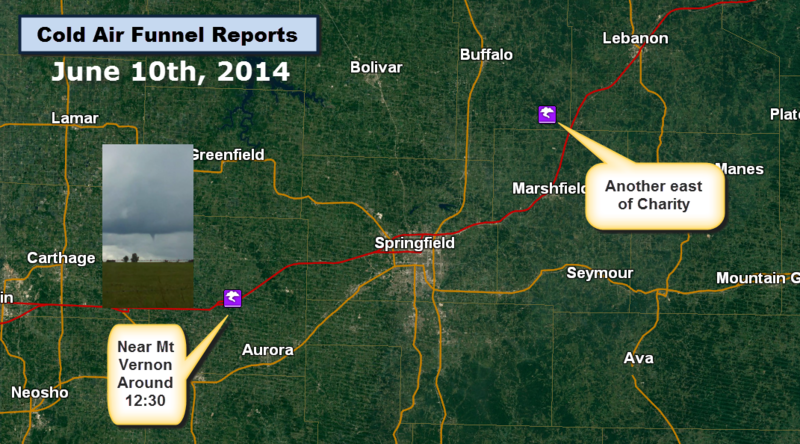 Cold air funnels were reported in the Ozarks today. Cold air funnels are harmless in almost all cases. They are generated under updrafts of showers (usually NOT a thunderstorm!) and when an upper level low pressure center is around. They are almost always harmless with no ability to reach the ground. The National Weather Service won’t typically put out a warning for cold air funnels. This is despite the fact that they look like real tornadoes trying to form! The photo above was taken by a spotter near Mt. 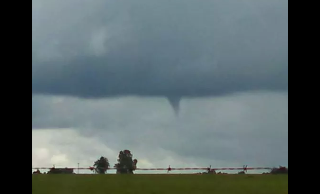 Vernon around 12:30 p.m. Another cold air funnel was reported east of Charity.